Remember when the time Journey’s Neal Schon and former singer Steve Perry reconnected at the band’s 2017 Rock And Roll Hall Of Fame induction? This event explored the interest of a Journey reunion with Steve Perry. 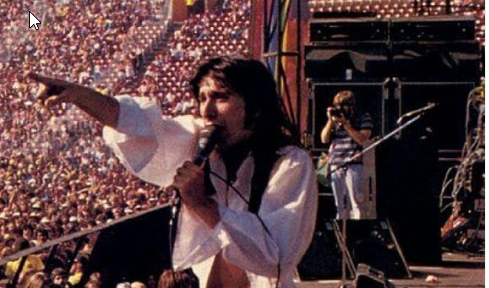 Neal expressed his interest in the possibility of working with Steve Perry together again, but the guitarist, of course, was just hoping that it could possibly happen. Schon and Journey kicked off the “Through Time” tour and spoke with AZ Central about the details of his March 1st concert in Phoenix. Is there any hope that Steve Perry would one day consider a reunion with Journey? Or should we put that hope back on the burner?